Thank you for lacing up for The Michael J. Fox Foundation's (MJFF) Fox Trot 5K Run/Walk Signature Series. We rely on your dedication to help us reach our ultimate finish line -- a cure for Parkinson's disease (PD). So far, the Fox Trot 5K Run/Walk Signature Series has raised over $1 million dollars to advance Parkinson’s research and welcomed more than 4,000 participants to events in cities across the country. With new and returning events, 2019 events are on track to bring together more people from the PD community and propel more research forward. As a Fox Trot participant, you are making a difference: 100 percent of the proceeds you raise go directly to the Foundation’s programs to speed a cure for Parkinson’s disease. Not yet registered? Sign up for a Fox Trot today! 1. Set a fundraising goal and share with friends and family, so that they can help you reach it! 2. Make the first contribution to yourself to kick-start your fundraising and show supporters that you are personally committed. 3. Personalize your message. Your supporters want to hear why you care about finding a cure for PD -- and how they can help. We have templates for your fundraising pages, emails, and other materials, but your words, photos and inspiration will make your story shine. Don’t limit yourself – Think outside of your direct connections remember that, there are many people whose lives or loved ones have been affected by Parkinson’s disease and have interest in supporting you and the cause. 5. Start with a small fundraising initiative like a bake sale, yard sale, happy hour, game night, or car wash. Be creative! 6. Keep your donors engaged. Keep people who give updated on your efforts with emails, social media posts and regular communication -- and ask them to help spread the word. They want to know how your event or training is going -- and when you hit milestones! 8. Inspire by sharing the impact of donations in the lives of people with Parkinson’s. Learn more about what The Michael J. Fox Foundation is doing to accelerate research and, ultimately, a cure. Help educate your donors on how their dollars and your efforts are making a tangible difference for people with Parkinson’s and their loved ones: You can start with The Michael J Fox Foundation’s impact. 9. Don’t forget about matching gift opportunities. Encourage your supporters to explore their employer’s matching gift programs. Many corporations will match their employee’s donations to an accredited charitable organization. It's an easy way to double or even triple the impact of a personal contribution. You can share and use our online resource for finding matching gift programs. If an employer does not come up in the results, contact the specific HR department. 10. Say “thank you.” Take the time to express your gratitude in a meaningful way. Make your supporters feel a part of your efforts. For example, send a personal thank you note or email to everyone who donates. Make sure to send a final update post event with fundraising totals that shares your gratitude. Personalize your Team Page with photos, a catchy team name, team fundraising goals and messaging. Make your team stand out! Recruit team members by reaching out to your networks. Share your inspiration for participating and why they should join you! Check in with your team members regularly. Make sure they are up to date on your team’s progress and any important day-of details. 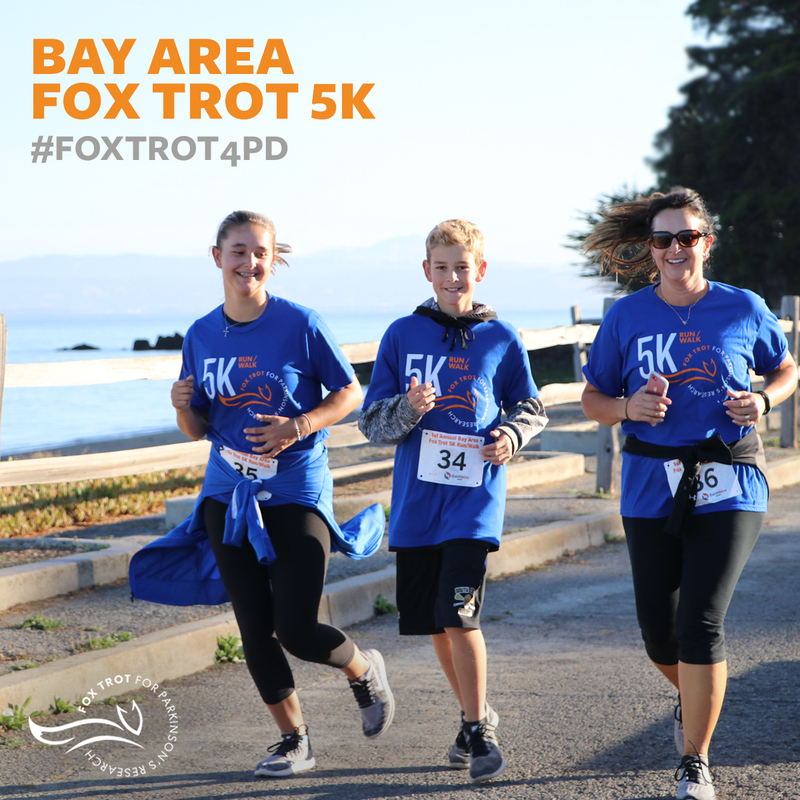 Connect your social networks with your Fox Trot and fundraising efforts. Invite friends and followers to donate, come out to cheer, or even join you on the course. To save an image, make sure to right click and select "Save As..."
You can also use frames on mobile photos and videos! Here are a few sample social posts for you to use when sharing your efforts on your personal social channels. We designed these for you to personalize with your specific event details, the link to your personal or team fundraising pages, and/or your personal connection to MJFF's mission on behalf of a loved one or as someone living with PD. Trot to support a cure for Parkinson’s with The Michael J. Fox Foundation in their Fox Trot 5K Run/Walk Signature Series. Together, we can make a difference in the lives of millions. Worldwide, it is estimated that more than 6 million people live with Parkinson’s disease. Join The Michael J. Fox Foundation’s Signature Fox Trot 5K Run/Walk series as we work toward finding a cure. I’m participating in @michaeljfoxorg’s Fox Trot 5K Run/Walk Series to find a cure for #Parkinsons disease. Join me on my journey. I committed to @michaeljfoxorg’s Fox Trot 5K Run/Walk Series because I want to help speed a cure for #Parkinsons. Join me today and together, we can find a cure. [I’m running/walking/cheering] in The Michael J. 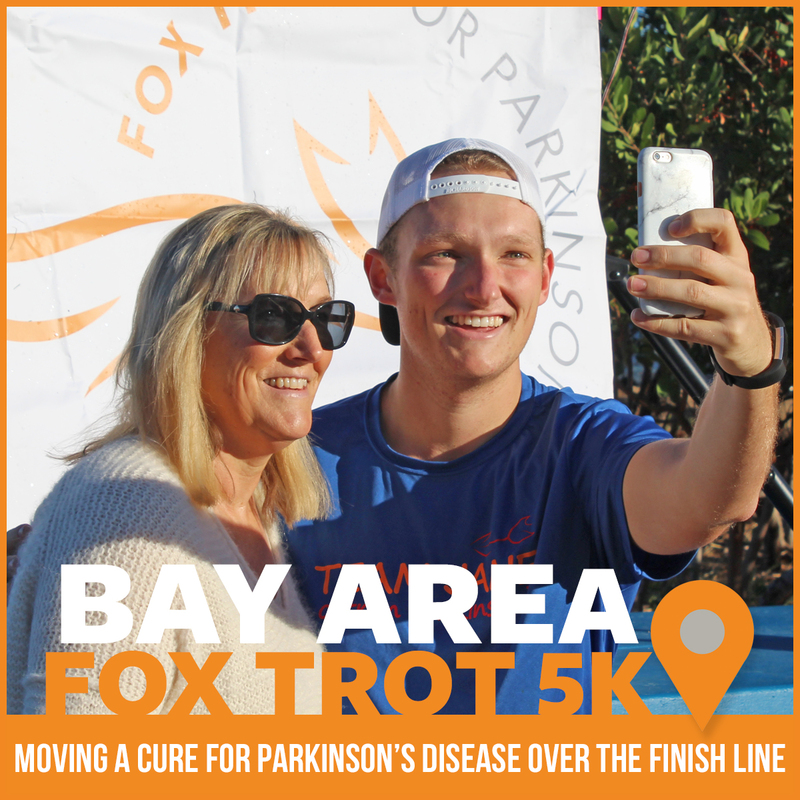 Fox Foundation’s Fox Trot 5K Run/Walk Series on [INSERT YOUR EVENT DATE] to help speed a cure for #Parkinsons. Please consider a contribution to my fundraising efforts to support PD research. Help move a cure for #Parkinsons over the finish line by joining me at @michaeljfoxorg’s Fox Trot 5K Run/Walk Series on [INSERT YOUR EVENT DATE].